The Prix du Jockey-Club was not run in 1916 due to World War I; the Prix de Darnay served as something of a substitute race. 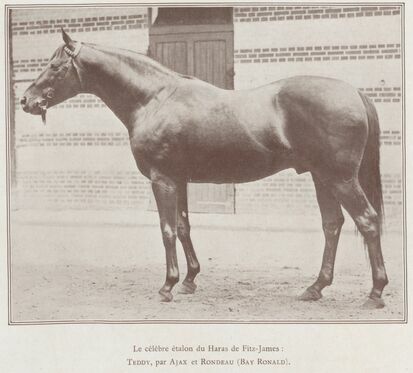 Stallion at Haras de Chamant (Oise), France - Leading Sire in 1923. Exported to the USA for the 1932 season. He stood at Kentmore Farm in Boyce, Virginia, and died there in 1936 of a twisted intestine.